Chocolate is many things. It satisfies sweet tooth cravings, brings joy, and it’s even a superfood, with many health benefits from eating dark chocolate. But can it also make you smarter? 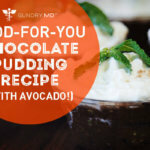 According to a new study, the flavanols in cacao can provide a boost to brain health. 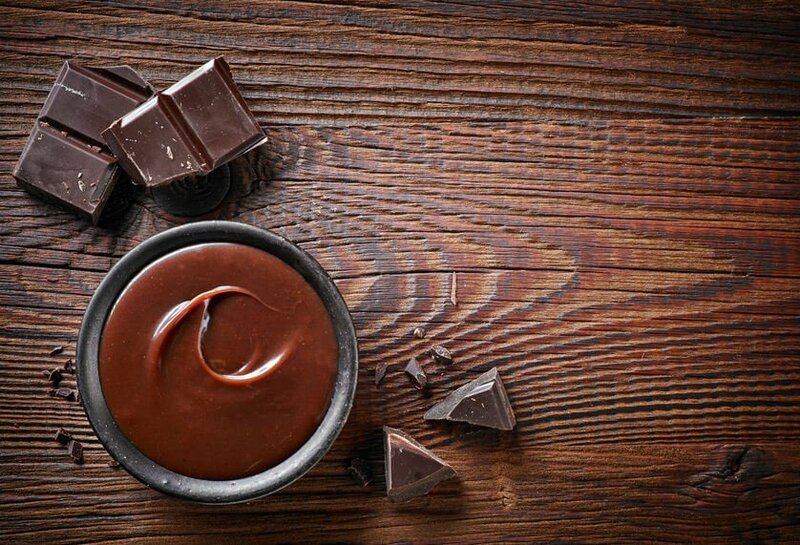 It’s been confirmed that over time, consuming flavanol-rich chocolate can protect the brain. Research shows eating flavanol-rich chocolate for up to 3 months causes a notable effect on memory, processing speed and attentiveness. For elderly adults struggling with memory loss, there was a notable improvement in their retention after consuming these flavanols. 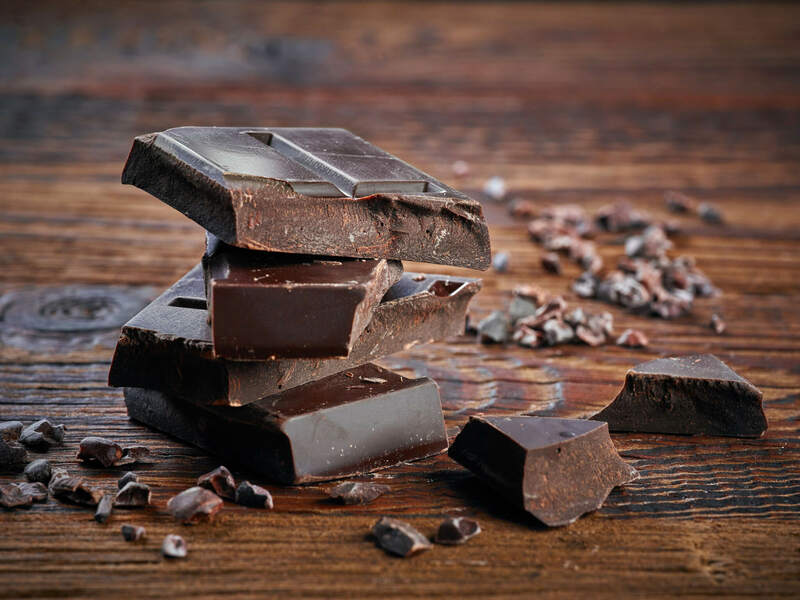 The lead authors of the study, Valentina Socci and Michele Ferrara of the University of l’Aquila in Italy, connected the heart-healthy effects of chocolate to increased blood flow in the cerebral cortex. “If you look at the underlying mechanism, the cocoa flavanols have beneficial effects for cardiovascular health and can increase cerebral blood volume in the dentate gyrus of the hippocampus… This structure is particularly affected by aging and therefore the potential source of age-related memory decline in humans,” they said. Simply put, the part of the brain that might deteriorate with aging gets more blood flow when people eat chocolate. Pretty sweet (pun intended), right? But before you grab that milk chocolate candy bar, take into account the sugar and fat content and other nutritional facts. Start by looking for chocolate that’s at least 72 percent cacao. The darker the chocolate, the better. And it doesn’t take much to do the job. According to the European Food and Safety Authority (EFSA), the recommended daily amount of cocoa consumption is 200 milligrams (about .007 ounces) for maximum benefits. So keep your chocolate consumption at about an ounce a day of very dark chocolate for maximum health benefits. In the end, go ahead and enjoy your chocolate—but, only dark chocolate of 72 percent cocoa or more. One to two small pieces everyday will provide heart and brain-boosting benefits that will make each bite that much sweeter. 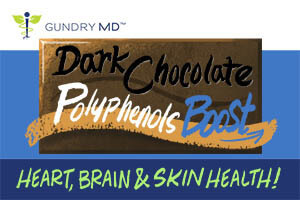 If you don’t like the taste of dark chocolate, you can try out the new Gundry MD Heart Defense chocolate shake for all those amazing brain- and heart-bolstering polyphenols.